Manchester, long symbolised by its industrial history, nurtures an historic gem containing centuries of architectural and scholarly history largely hidden by the modern city around it. 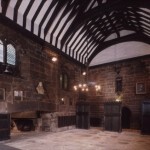 Chetham’s library, established under the will of Humphrey Chetham in 1653, is accommodated within a complex of medieval monastic buildings erected in 1421, and shared by the School of Music. 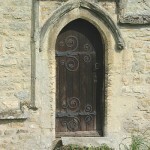 Through a stone arch and across a well-groomed courtyard (ignore the car park), the library is accessed through a Hobbit-sized door marked with, ‘Please ring the bell’. It is easy to forget the city beyond Chetham’s stone walls, especially when, looming only meters away, the Cathedral bells ring. On entering, visitors ascend the dark wooden stairs and are met by a printing press station, still in working order, and aisles laid out on a square plan containing books of all shapes, sizes and colours. 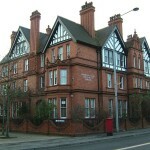 Although the library houses an impressive catalogue of printed works, photographs and manuscripts, it is small in size compared to its Mancunian sisters, the Central library and both John Rylands libraries. 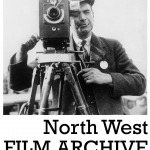 Currently the library is displaying an exhibition on chapbooks. Godlies, Merries and Pleasant Histories: The chapbook tradition 1731-2013 is a delightful ensemble of casual print, the endurance of which reflects the timelessness of the library and its content. The central reading room is the library’s pièce de résistance, featuring portraiture of its original patron, Humphrey Chetham and successive librarians. There is a myriad of historic and scene-setting furniture and decoration, though the circular Cromwellian table dominates the room. Light streams in through the diamond-patterned window where infamously, Marx and Engels met to compose the Communist Manifesto. This 350-year-old free public library is almost too distractingly beautiful to read in, an historian’s aphrodisiac if you will. 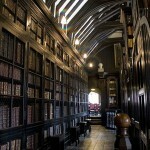 A must see for any student of history at Manchester, but if you need further convincing I recommend perusing its impressive blog: http://chethamslibrary.blogspot.co.uk/.